Typically the biggest consumer of energy in our homes in winter is for heating our living spaces and our hot water supply. We can do this without using high value energy like electricity. Consider this, a heater might use 2000W/h of energy to heat a relatively small space. In comparison, that same energy could be used to run a house full of LED lights, a small fridge, a computer, printer, food processor, and sound system. Converting electricity to heat is wasteful, best avoided. Trees store the sun’s energy in the form of wood, absorbing carbon from the atmosphere in the process. While alive they provide habitat, shade, clean air and sometimes food. When a tree dies, some carbon remains in the soil and some is released back into the atmosphere as it decomposes. The carbon can be locked up for many years if we use it to build with, or almost indefinitely if it’s converted to charcoal. We can access this energy on demand by burning the wood. It releases carbon, yes, but it is in fact carbon positive. The roots of the tree is left in the ground, and some that remains as charcoal and used to great benefit in our gardens. While wood has the potential to be a truly sustainable resource, it’s often not sourced appropriately. With selective harvesting, retaining the best trees, we can improve forests while harvesting valuable timber and firewood. 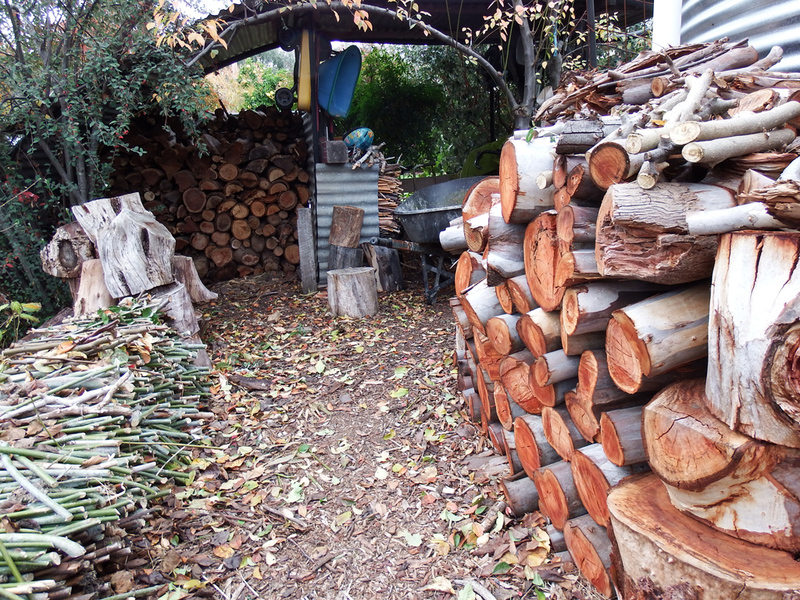 Living in town on a small block you may be surprised to heat that most of the timber that I’ve harvested has been sourced within 100m of my home. When a large branch or tree comes down, I’ll speak to my neighbours and before long I’m out with my chainsaw and wheelbarrow. It’s important to leave green timber to dry for a two to three years and leave for at least a year to finish drying before it’s ready. This reduces the moisture content for a cleaner, more efficient burn. Most of the remaining moisture in wood is the resins. When the wood heats up in the firebox the resins emit combustible gases, when these ignite they can account for as much as half the heated output of the fire. If the wood is not properly seasoned then steam is emitted when the wood heats up, preventing the gases from igniting. These unignited gases build up on the glass door, if you have one, and inside the chimney as creosote. 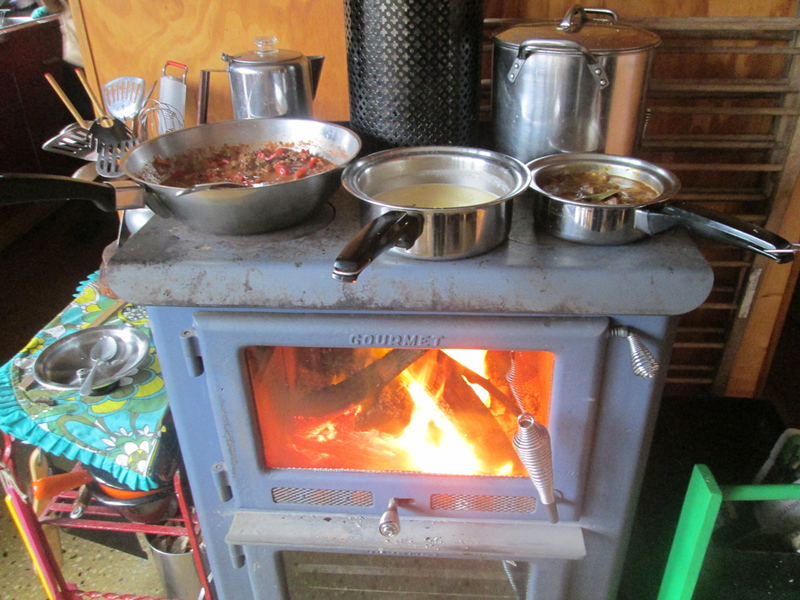 Our locally made wood stove includes an oven below the firebox and a water jacket behind to heat our hot water. Since we only use the stove during the colder months, it works symbiotically with our solar hot water system, so we have hot water pretty much all year round. Both systems use the thermosiphon effect to move the heated water through a heat exchange, so there’s no need for an electric pump – further reducing our electric demand. Our wood stove is well sized for our small home, giving plenty of cooking space and using less than 2 cubic metres of wood to run per year. While burning wood may not be appropriate is every circumstance, it certainly has an important part to play in our energy descent future. This design manual is a result of years of research and observation into the role and potential of trees and shrubs on farms. 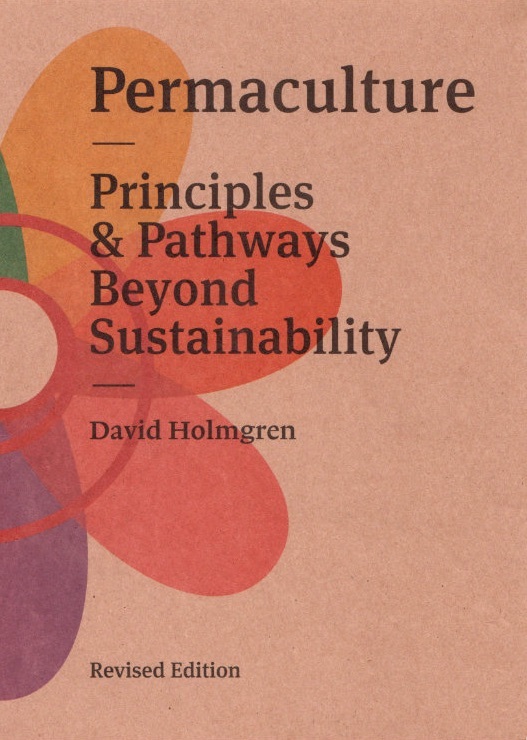 It addresses the transformation of broader farm landscapes through the application of permaculture principles to revegetation. 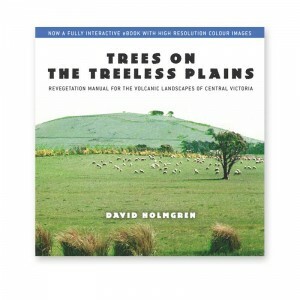 The manual includes revegetation strategies and design solutions relevant to increasing and diversifying farm productivity while stabilising the landscape. It also address the public land on roadsides, stream sides and reserves. Check it out.